Share the post "Heidi Klum’s Spring 2012 Collection for Motherhood Maternity"
Heidi Klum wears many hats — supermodel, mother, executive producer, and fashion expert on Project Runway. 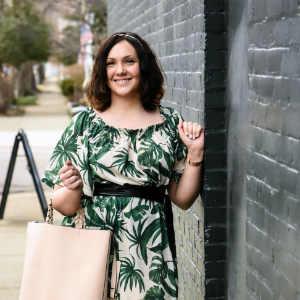 After four pregnancies and several seasons of top-selling collections at Motherhood® and A Pea in the Pod® stores, Heidi knows what an expectant mom needs to look fantastic during her pregnancy. The Spring 2012 collection of Loved by Heidi Klum, arriving in Motherhood stores in April, is inspired by Heidi’s visits to her favorite hotel on the French Riviera, Hotel du Cap-Eden-Roc. There, Heidi envisions expectant moms wearing the casual elegance of her dark, skinny jeans paired with her trendy knit tops in black, white, and fresh neutrals with touches of red and gold embellishment. Heidi’s boldly-striped, loose fitting dress takes the mom-to-be from a spa lunch to a busy day of sightseeing. Dressier slacks and tops for evening round out the 19-piece collection that will be available in stores and online at Motherhood.com. “Heidi Klum makes pregnancy glamorous and fashionable. Her style is fun and still practical. This new collection offers moms-to-be a chic look at an attainable price during this exciting time of their lives,” said Chris Daniel, President of Destination Maternity Corporation, parent company of Motherhood Maternity.